Video makes me want to revisit the game. So great to see GOW become somewhat of a cultural phenomenon. Also, I don’t mean to get political but that’s one hell of a diverse cast of crew. Edit: The Valkyries were pretty easy for me because of the way I played the game. I pretty much maxed out my skills before I faced each one. By the time I fought the final Valkyrie I was basically unkillable. 1 of gaming's all time greatest. How do I feel? Very happy for the team, especially in such a fickle industry. Can't stand the game though. You guys deserve all the praise, so thank you. Oh, cool. If I eventually get around to this game, perhaps I'll change my PS4 theme to this while I'm playing it. Got the theme but cant seem to find the avatars, help! It's the best game on ps4 and the best melee fighting system on 3rd person games imo. It's a great game. Really love the gameplay and especially the story. Can't wait to see what lies ahead for Kratos and the Boi. No, thank YOU for this amazing game. Easily one of the best experiences I ever had. The sequel already is my most anticipated game. 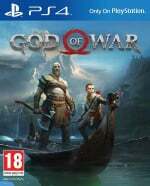 Can’t wait for God of War 2 on PS5. I still need to play this game, but congrats to everyone involved in making it. This game is an absolute masterpiece they really do have cause for celebration. I've always loved the God Of War games but this just took it to a whole new level. I think I'm the only one that never even managed to beat ONE of those Valkyrie though..
Great game, and will definitely play NG+ one day. Shame we never had any DLC for it though. US only? Can't find it on the store. UK theme? Seems to be us only. great game... great thank you video. I just downloaded the GoT theme, sorry Kratos. I LOVED the game. That said I find all this fuss a big cringy. Love this game so much, I often listen to the soundtrack while exercising. Just watched some of the Marvel Thor movies too, and it's making me want to play this game. Always appreciate some free avatars and a theme for one of my favorite games. Best PS4 game so far this gen imo. I kept coming back to it every few weeks until 100% completion. Games of this quality are rare, so I savoured it. I still need to complete the post-valkyrie Musphelheim missions, defeat their Queen and find a couple of bits. But wow, what an experience. One of the best games ever created! Epic game, one of the best of the Generation IMHO. Staggeringly good game that I'll admit completely underestimating before I played it. One of the PS4's very best games and potentially an all-time classic if you ask me. Can't wait for whatever's next. @SwanPrincess83 Nicely spotted! I wonder when we'll get a sequel?